Appliance measures approx. 3" x 3"
We don't all have the ridiculous battle scars that action movie stars have or the gruesome old wounds that the horror villains have on their faces from a past life. We're just not all as fortunate as the people in those stories. We know, we started tearing up a little bit just thinking about that too but who the heck wants to go through the process of selling your sell for immortality or get sliced up fighting the bad guys? It's a hassle, it's excruciatingly painful, and a lot of jobs seem to want people that don't glow with the evils of hell whenever it's about to rain. Silly, right? 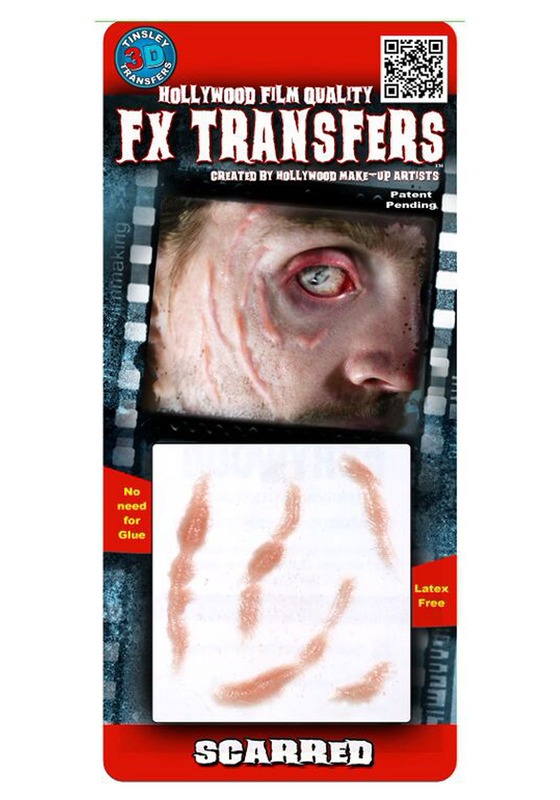 So this next Halloween just save yourself the hassle and grab a pack of these Hollywood quality temporary 3-D scar tattoos and wreak havoc in your town for a night or even an hour before you take them off. These are seriously easy. You just apply warm water (yep, normal water) and you'll have them ready to go. When you're done with them just follow the instructions and you'll be set!